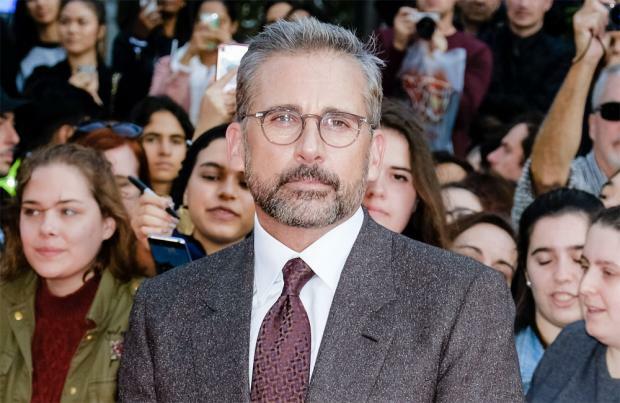 Steve Carell will never picks a part to prove to people he is "capable" of playing the role. The 56-year-old actor is most famous for his comedy performances but he took on serious drama when he played journalist David Sheff, a long-suffering father who tries to save his drug-addicted son, Nicolas – (Timothee Chalamet) – from addiction in the 2018 film 'Beautiful Boy'. Carell wanted the part for his own artistic satisfaction because he was intrigued that his alter ego in the movie – which is based on a true story – "doesn't cast blame" or make "moral judgements" on his child's drug use. Speaking to The I Paper, Carell said: "I never want to do a part in order to impress upon people that I'm capable of doing it. I like that the film doesn't cast blame. It doesn't make any moral judgements on people who have addictions and that's important. There is a certain level of scorn in our society that needs to be lifted and [the issue] needs to be understood on a deeper level." Opening up about the statistic that 130 people fatally overdose on opioids in the US every day, he added: "It's such a tragedy. It's one of the reasons I wanted to do this. It's such a national – international – emergency right now." The story is based on the memoir of David, entitled 'Beautiful Boy: A Father's Journey Through His Son's Addiction'. Carell has revealed that shortly before he started shooting 'Beautiful Boy' his 14-year-old son John asked him "an unsolicited question about whether marijuana is a gateway drug" to harder substances. The 'Big Short' star was taken aback because it was relevant to the plot in the flick, however, he admitted he wanted to be "forthcoming" and keep his advice informative but short. He added: "It's nothing we'd ever discussed before. And it seemed so strange that it came up just before I was going to start filming this movie. You want to be as forthcoming as you can, but you don't want to overstay your welcome, because kids generally want information but they don't want a lecture, and you lose them at a certain point."